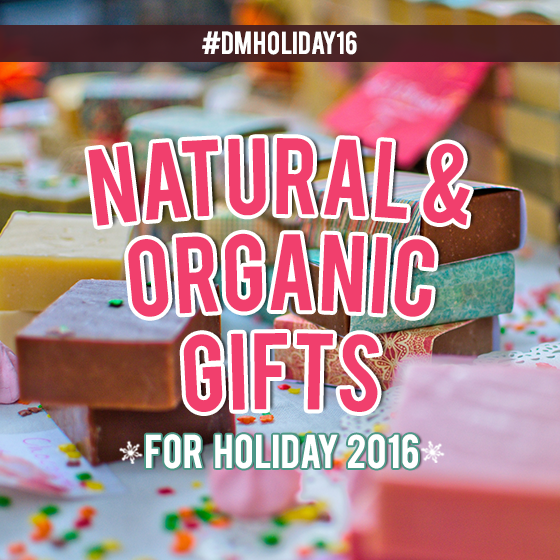 If you have loved ones on your holiday gift list this year who live an eco-friendly life, you might find it overwhelming trying to find natural and/or organic gifts that will fit into their lifestyle. 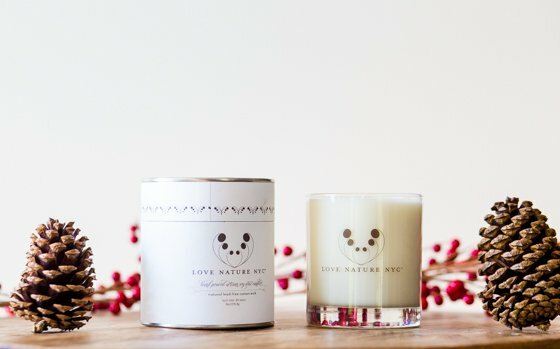 From candles to children’s sleepwear to wine, we’ve rounded up some of our absolute favorite gift ideas for everyone on your list – hand selected for their dedication to being made with natural and organic materials and ingredients – so you can give them confidently; and you loved ones will appreciate the thought and consideration behind them. 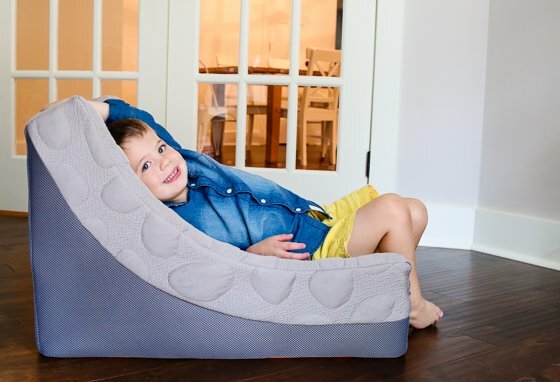 Nook Sleep Systems is always coming out with the latest and greatest in sleeping, lounging, and home goods, so this Christmas, toss their Pebble Lounger on the list, whether it’s for a small toddler or your teen! This uber comfy, environmentally conscious, and super safe lounger provides your people with a portable way to sit in stylish comfort. The cover unzips in two seconds flat and is machine washable and dryable, so no worries if your 9 year old spills his soda on it during movie night. 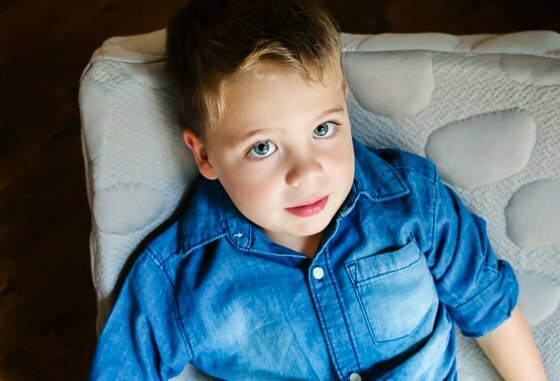 All materials are non-toxic, making it a safe place for your smallest kiddo to rest his head during story time. In a modern design, with clean lines and Nook’s signature pebble motif, this won’t only look great and fit right in with your home decor, but it’s a functional piece of furniture that the whole family (including you, parents!) can enjoy. Perfect gift for the family who craves comfort and modern style with washability and functional design. 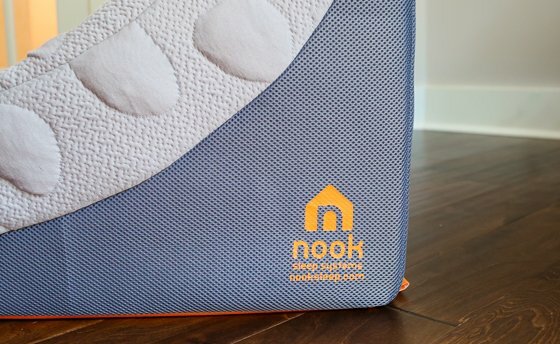 Nook Sleep Systems came to be out of a parents need for an organic crib mattress that went above and beyond what was currently available; one that wasnt astronomically priced and one that was more than simply cotton, with the ability to breathe and actually look good sans sheets. 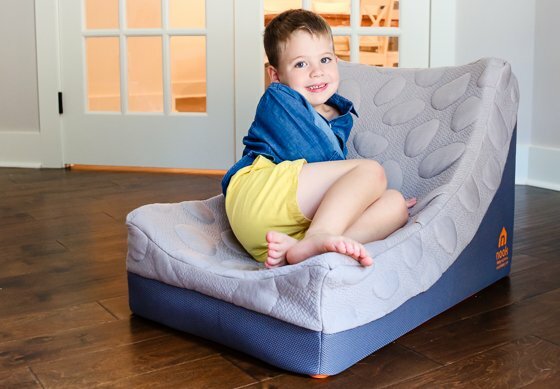 Their first product was that mattress they sought after; a modern, dual-sided designer mattress that their babies could sleep on as is, and that also featured their core values in childrens gear: health, safety, breathability, quality, and beauty. 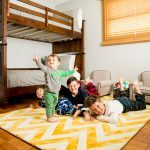 Now theyve taken those same values and created more mattresses, plus pillows, play mats, changing pads, and a slew of other products that the whole family can enjoy. If your kids want a puppy for Christmas, and that’s just not going to happen – no shame, parents! – you can still give them the responsibility of pet ownership, just on a slighter smaller scale. Gift them a Classic 15L Aquarium with LED light by BiOrb and watch their eyes light up, by both the excitement of this modernly designed fishbowl and the automatic Moonlight LED lighting that emits a soft blue glow when the lights are dimmed. Once you open the box, everything you need to get started is at your fingertips. All your kids need to do is find which box under the tree the fish are wrapped up in! 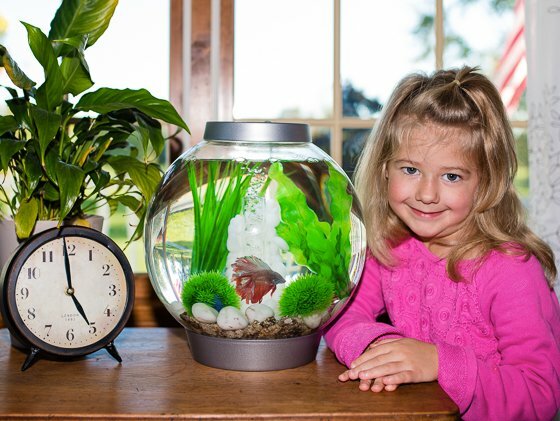 Rest assured that both the fish and your kiddos will remain safe, especially if little Nemo is making his home in your child’s room. This aquarium is made from heavy duty acrylic, which is 10 times stronger than glass and 50% lighter. 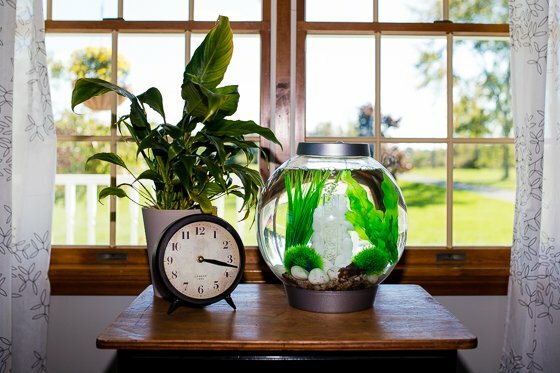 Go ahead and give your fish a room makeover, by adding any of BiOrb’s decorative accessories to the aquarium, such as some feng shui pebbles and greenery. Includes everything you need in the box – just add water and fish! Perfect gift for aqua animal lovers and for parents who just say no to the “I want a puppy for Christmas.” cliche. 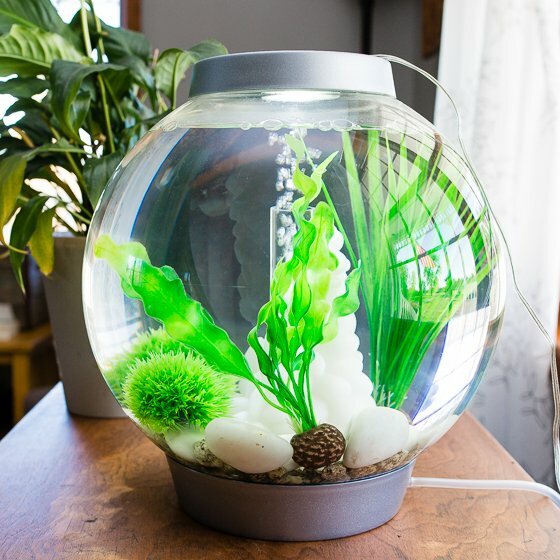 BiOrb products make keeping fish as pets way cooler and much easier than in the past. 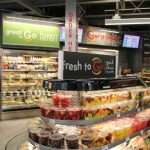 The technology that goes into their products eliminates the need for a ton of expensive equipment and know-how. Selling over a million aquariums all around the world, BiOrb is passionate about keeping their aquariums and accessories modernly designed – unlike anything you’ve ever seen before – and their customer service top notch, making fish-keeping easy and fun for everyone. 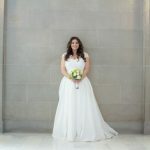 Eco Flower is the newest rage in beautiful and practical online gifting, and specializes in their stunning floral arrangements and home decor using flowers made from 100% recycled materials, such as sola wood, birch wood, denim, pine cones, burlap, old novels, used music sheets, and jewelry. 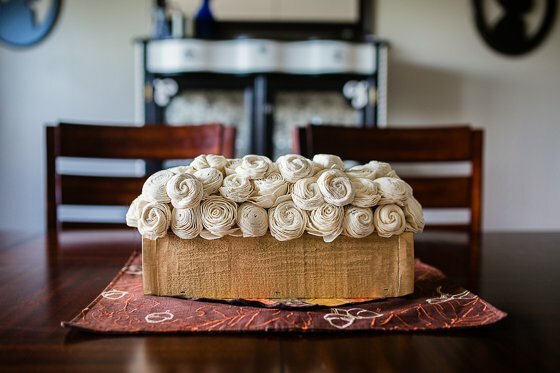 The centerpieces from Eco Flower are the perfect gift for anyone on your list who loves receiving flowers, and has a soft spot for eco-friendly materials and business. It’s the perfect organic touch in a glamorous household, and can also be scented; so receiving a bouquet is just like getting real flowers – except they’ll never wilt and die. Another perk is that shipping is always free on all U.S. orders, so if your loved one is in a different location, let Eco Flower do all the heavy lifting of getting it to her – saving you the dreaded wait in the post office line. 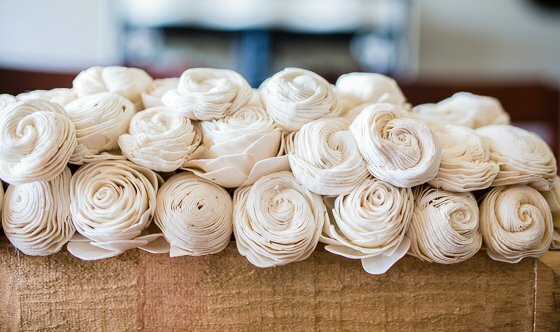 Eco Flower works for home decor, as well as wedding bouquets, boutonnieres, and lots of other ways to completely take the dead flower corpse out of the equation. Perfect gift for the eco-friendly, home decor lover who will appreciate flowers that live forever! Eco Flower began two years ago, and was conceived by a single mom of two daughters who aspired to one day be an entrepreneur and be featured on ABC’s Shark Tank, even though she was living in poverty and off welfare at the time. Shark Tank inspired her to get off the couch, quit her desk job, and pursue her dream of opening up a company that would gift people bouquets made from recycled material flowers. Now, she has a 3,000 sq ft facility, almost 100 employees, a (small, but beautiful) home that she bought – and, best of all, confidence! After trying out for Shark Tank 4 times, her episode finally aired November 4th and she strategically partnered with Mark Cuban. If you are looking for the perfect candles, look no further than JG & Co. Every candle JG & Co. produces is handcrafted in the United States by expert artisans, using the highest quality, recycled or recyclable, natural materials that are sourced from as locally as possible. The 3 collaborating companies that comprise JG & Co. each bring different and unique collections that ensure no matter what you are looking for there is a scent to fit your mood. LOVE NATURE NYC, embraces the beauty of nature and will bring the outdoors directly into your home. Every scent from the warm, exotic blend of Vanilla Fig to the intricately layered blend of Cedarwood and Amber will bring the smell of nature into your home. URBAN SUNDRY creates products inspired by a time when craftsmen were the masters of their trade – expertly handcrafted with passion and pride, distinctly made for the customers in search of the highest quality products. 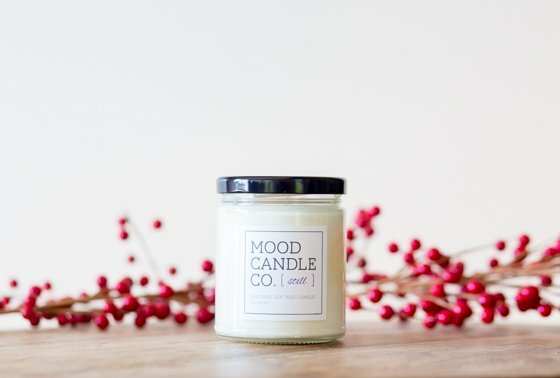 MOOD CANDLE CO. brings together a variety of different herbs, flowers, and essential oils, as well as other natural ingredients in order to help you set the mood. If you’re looking to calm yourself, try Still, a blend of chamomile, english lavender, tuberose, vanilla, and white musk. The best part about JG & Co. candles? Each non-toxic JG & Co. candle is hand crafted from start to finish, using only 100% natural wax, lead-free cotton wicks, and phthalate-free essential and perfume oils. All candles are eco-consciously packaged, using completely recycled or recyclable materials. 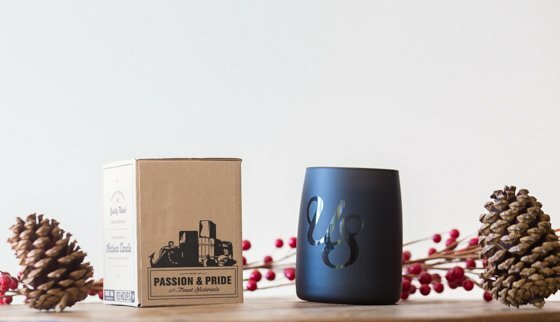 They encourage reusing and recycling their unique candle containers in order to reduce waste and enjoy their products long after the wick has run out. With delightful nature scents like Frankincense and Myrrh you can bring the outdoors right into your home, or if you are looking for something with more citrus notes, you can try the Limoncello! They have everything you could ever need, whether it is for yourself or as a gift for the candle aficionado in your life. 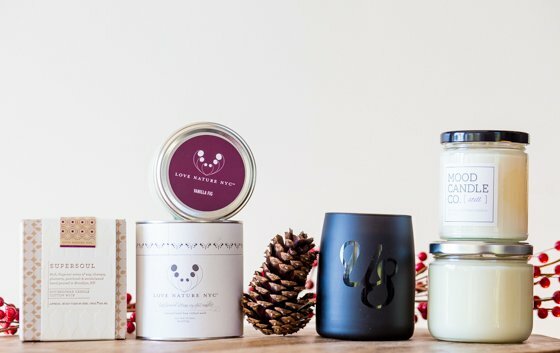 Perfect gift for that someone who is searching for a handcrafted, toxin free candle. JG & Co. was founded by Jared Gettinger. Jared is involved with numerous charitable organizations, including those focused on green living initiatives. He believes we can all do something to help make the world a better place, and things only get done through the act of doing. 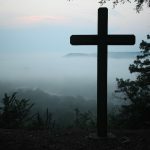 To help reinforce those principles, JG & Co. supports charities and non-profit organizations of all types, whether it is through donations, proceeds from sales, or custom product designs. Indulge your child in a real treat this holiday season – 100% organic cotton pajamas from Naaya by Moonlight. If you’re rolling your eyes wondering how pajamas can be a treat – let us tell you why! These are the most buttery soft pajamas we’ve ever felt, and you’ll only be wishing they came in adult sizes. Your child will adore the various animal motifs available in Naaya’s line of pajamas – from the owl (shown here), to the giraffe, elephant, and whale. These pajamas are snug fitting, and you can rest easy knowing that the fabric is never treated with toxic flame retardants (or anything toxic, as the cotton is sourced from 100% organic suppliers). Each set of pajamas from Naaya by Moonlight is made incredibly well, and these can easily be passed down from child to child. Perfect gift for any child on your shopping list (particularly children with parents who value organic clothing and pajamas free of toxic flame retardants). Naaya by Moonlight is a luxurious, classic collection of essentials for your new baby. Chaandni Singh created this beautiful line over the course of many years, carefully crafting the very best in baby products – all high-quality, comfortable, versatile, and gorgeous, and all made from 100% organic cotton. 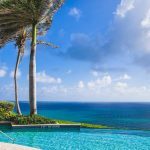 Naaya by Moonlight even has a celebrity following, favored by the Kardashians and more. Lip balm is a very useful gift, but make sure you get lip balm that is actually good for your lips. 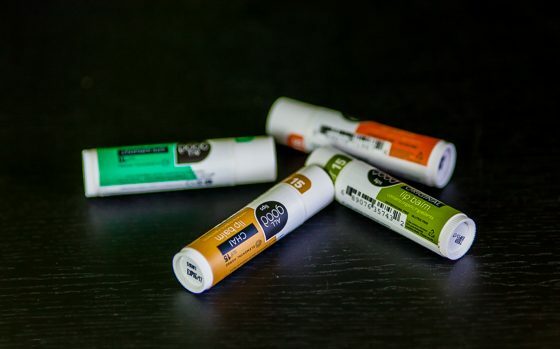 The All Good Lips 4 Pack contains lip balm that is USDA Certified Organic with a blend of organic essential oils. Lips are moisturized, conditioned, and naturally protected. Featuring original, tangerine, and spearmint flavors, you can wrap this set up for the perfect gift. The flavors are derived from organic essential oils and contain other ingredients like olive oil and beeswax. Winter time usually brings with it dry skin. A great natural gift that will combat dry skin is the All Good Lotion 3 Pack. The 3 pack contains Lemongrass, Lavender, and Coconut body lotion. All are infused with essential oils and moisturize naturally with the power of cocoa butter, coconut oil, and olive oil. This lotion is the smoothest lotion you will ever use, and it does not leave you feeling greasy. All 3 scents smell amazing! With the 3 pack, you can give someone the gift of healthy skin. Both of these products from All Good are GMO-free, gluten-free, vegan, non-nano, and biodegradable using natures safest and most potent organic ingredients and medicinal plants. Perfect gift for anyone who wants to naturally care for their body and avoid toxic chemicals. Toxins and other yucky stuff are everywhere. Nowhere can you find them more easily than in skincare. Avoid the bad stuff with All Good. All Good is a nature-based healing company committed to caring for the earth and our bodies. They use certified organic ingredients in their products and seek the highest possible medicinal quality in all of their herbs. Everything they create is also cruelty free and just feels great to use. Live in balance with nature by choosing All Good for your skincare. How many times are new parents asked, “Is your baby sleeping through the night yet?” More often than not, the answer is a disgruntled, “No.” But some parents know the secret to getting babies to sleep longer – and one of our favorite tricks – is the Woombie swaddle. 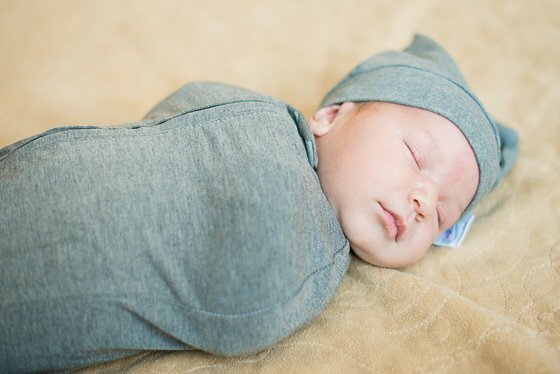 The Woombie Mod Swaddle is made from an uber-soft, stretchy, luxurious organic bamboo/spandex blend that hugs your child, mimicking the snug fit of the womb. This snug fit helps to reduce your baby’s Moro reflex, which can wake them up suddenly at night. The Mod Swaddle has an adjustable knot on the bottom, allowing you to fit this to your baby’s size and adds a bit of flair to this staple sleepwear item. Available in 5 different colors (shown here in Metro), there’s a color for every baby; and it zips right up from the top and the bottom, with a two-way zipper (makes middle-of-the-night diaper changes oh-so-easy). You’ll adore Woombie’s bamboo knotted hat. 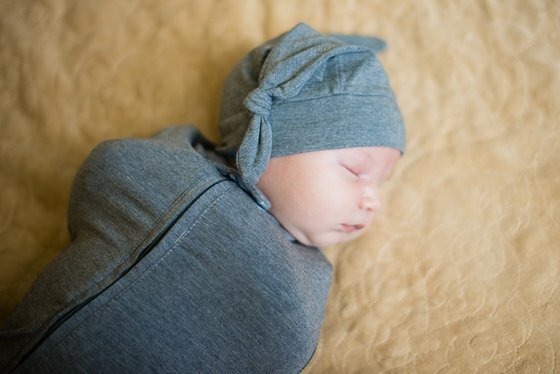 Made from the same organic bamboo/spandex blend as the Mod Swaddle, this hat will quickly become your go-to clothing item to top off your baby’s outfit each day. 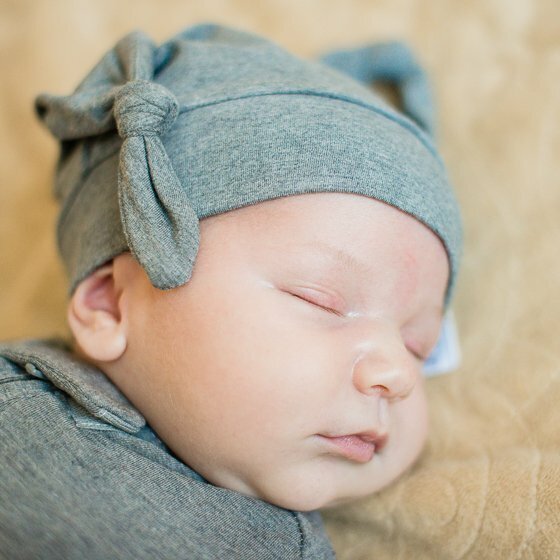 The super soft fabric slides onto baby’s head easily, and won’t bother him or her with scratchy seams or tags. These knotted hats definitely have a trendy appeal that will have people constantly asking you where you found such an adorable hat (ask us how many times we’ve directed strangers to Woombie’s website!). Perfect gift for trendy babies – and those who need a bit of extra help getting a good night’s sleep. 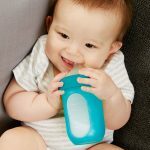 KB Designs is a family-owned business that was built with the love and safety of babies in mind, and with a sensitivity toward mom’s and dad’s needs too. 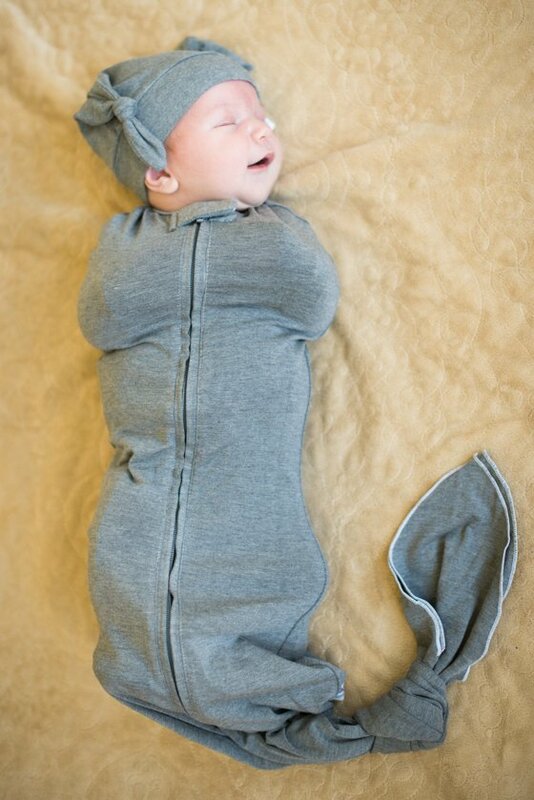 All of their products are geared toward the theme: swaddle, snuggle, and sleep. 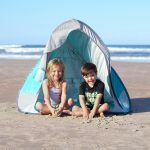 Woombie is environmentally conscious, as all of their products are manufactured in an eco-friendly factory and manner, no harsh chemicals and no flame retardants. They also practice strict compliance per CPSIA standards; strict safety testing using CPSIA standards and testing in a CPSIA third party accredited testing facility are top priority. The Noor Aromatherapy Diffuser from ZAQ is very stylish, yet doesn’t jump out at you as something out of place. It fits subtly into any room or decor. It is a pyramid shape, with the top half changing colors thanks to LED lights. 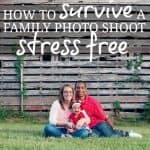 The color changing feature is soothing, and when you combine that with a calming essential oil to diffuse, you will find your entire family is relaxed and free of stress. Not all diffusers work well, but this one does. ZAQ knows what they are doing. It is a mid-sized diffuser that runs for up to 4 hours with an automatic shut off. Perfect gift for families who need the benefits of aromatherapy in their homes. 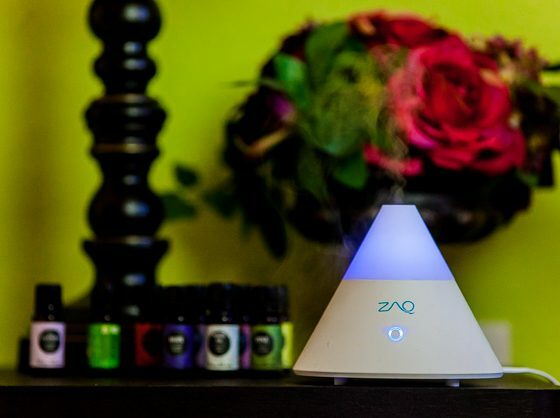 ZAQ was created to help every home become a place of tranquility. 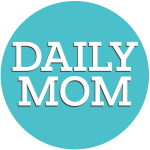 This company believes in the power of aromatherapy and offers the best products for anyone to use easily. 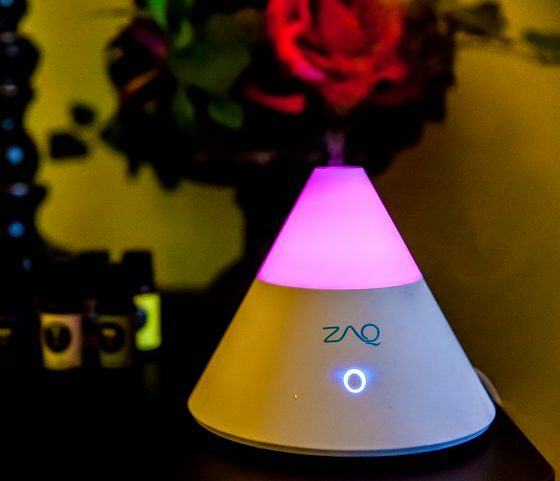 In a time when essential oil diffusion was not yet popular, ZAQ created incredibly high quality diffusers. They wanted to create a way to diffuse oils that would be simple and effective. They created a diffuser with a ceramic core from Japan. This ceramic core holds up over time and is one of the reasons that ZAQ diffusers are superior. Your whole self, mind, body, and spirit can improve through essential oil aromatherapy. 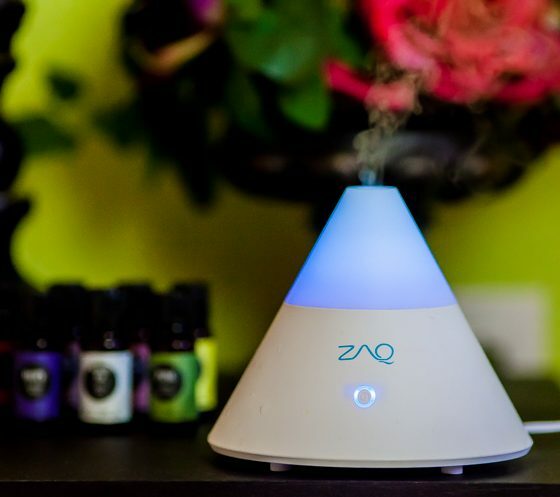 Keep aromatherapy simple yet powerful with a diffuser from ZAQ. Winos, rejoice! It’s time to share the love this Christmas with your wine-loving and calorie-counting friends. SOCIAL Enjoyments has finally given us delicious tasting wine that is conducive to a clean-eating lifestyle. 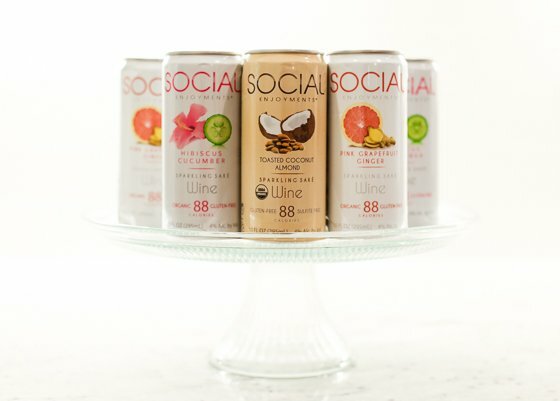 Available in three different flavors, this sparkling wine comes in a convenient can with just 88 calories per serving and low sugar and carbs. The sweetness comes from superfood extracts, not artificial sweeteners, so for once in your life, you don’t have to feel guilty about sipping on one too many cocktails. 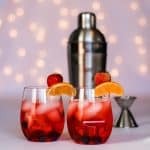 Drink as is, add to vodka for a healthier and tastier version of a vodka-soda, or experiment with other fun combinations that make SOCIAL Enjoyments the star. However you drink it, you’ll love it and your body will love you for it! Perfect gift for the calorie-counting socialite who enjoys a little bubbly in her drink! Founder of SOCIAL Enjoyments, Leah Caplanis, battled cancer at a young age, and through a strict regimen of clean eating, alternative therapies, and clinging to her spirituality, she was able to reclaim healing, and now lives a life full of love and service to others. 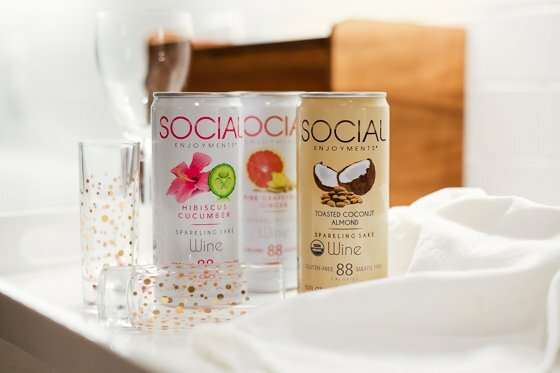 She conquered her dream of entrepreneurship and created SOCIAL Enjoyments, a canned sparkling wine brand that redefines the way you drink and socialize. Gone are the days when flowers were the go-to gift for every occasion. 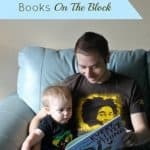 Little Box of Rocks believes that every present should have a unique and special meaning that lasts forever. Choose from a variety of eco-friendly crystal bouquets, each carefully selected and placed in a wooden gift box, wrapped with a satin ribbon. 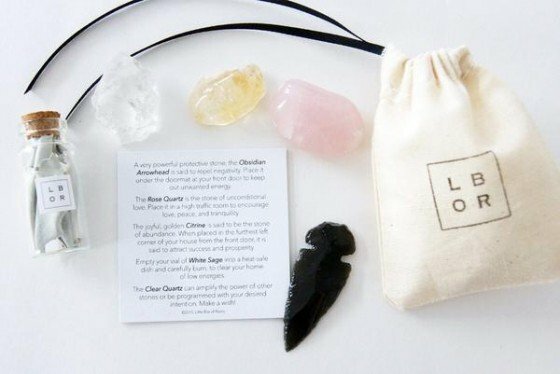 The recipient will uncover four theme appropriate crystals in a hand-stamped sachet with a keepsake card outlining their meaning. 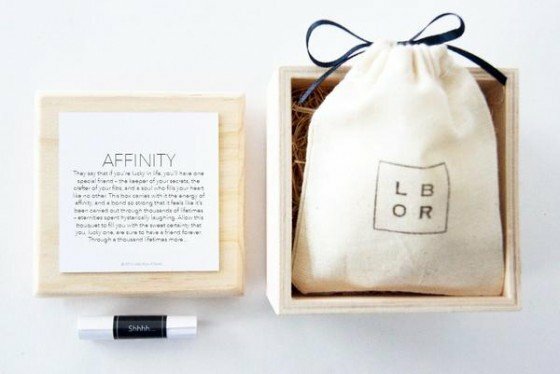 Every box includes a secret message on a sealed scroll written by the sender. Little Box of Rocks is also proud to have teamed up with Make Music Matter, which is an innovative non-governmental organization that uses music as a form of healing therapy in countries that have been deeply scarred by conflict, HIV/AIDS, and violence against women. When you purchase the Lotus (Mother) bouquet, 10% of sales will be donated to help support and facilitate the emotional, psychological, and spiritual healing of women and children in these war-torn regions. Perfect gift for the hard to buy for person, who appreciates sentimental gifts and an eco-friendly mission. 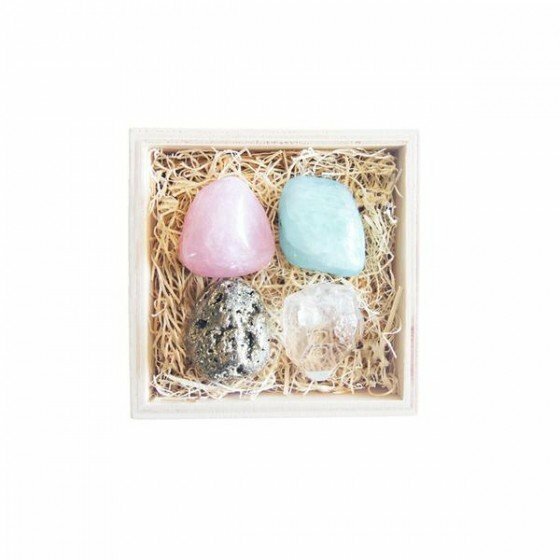 Little Box of Rocks was started by Kiera Fogg, who is a mother of 3 special little kiddos, and grew up spending her time in the Canadian wilderness. She was fascinated by natures power to uplift and enlighten the spirit, and searching the area for fool’s gold and amethyst was a way that she connected with nature, emotionally and spiritually. She wanted to bottle up those feelings, and be able to enable that feeling to be sent across the world. What emerged was the crystal bouquet: a unique inspirational gift that uses crystals as little messengers for our well-wishes. She believes that giving is the act through which connection occurs.